FloEFD is a CFD tool for design engineers which operates within your CAD environment, obtaining fast results removing the usual bottle neck of waiting for the CFD specialist. With auto meshing, auto mesh refinement and a solver that is designed to run on your laptop, FloEFD is an affordable, easy to use and effective tool that makes an immediate impact on your projects. 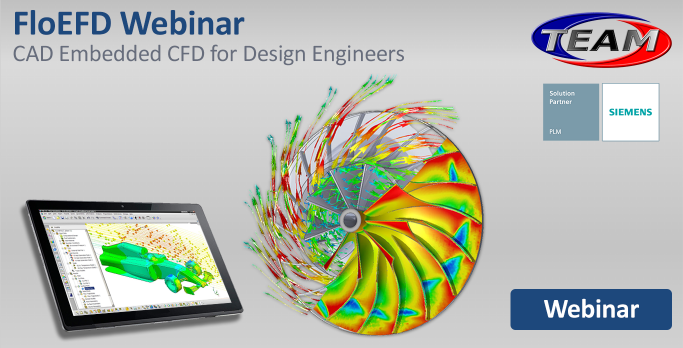 Register today to learn more about how FloEFD could speed up your design processes. All webinar attendees will be able to access a 30 day FloEFD trial.